From the team that brought you The 39 Clues and Spirit Animals comes a brand new epic Egyptian adventure! Nothing can save Alex Sennefer's life. That's what all the doctors say, but his mother knows it's not true. She knows that the Lost Spells of the Egyptian Book of the Dead can crack open a door to the afterlife and pull her son back from the brink. But when she uses the spells, five evil ancients--the Death Walkers--are also brought back to life. An ancient evil has been unleashed. Mummies are awakening. New York is overrun with scorpions. And worst of all for Alex, his mom and the Lost Spells have both disappeared. He and his best friend, Ren, will do anything to find his mom and save the world . . . even if that means going head-to-head with a Death Walker who has been plotting his revenge for 3,000 years. 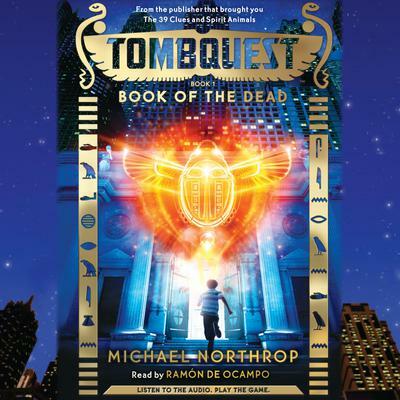 Michael Northrop is the New York Times bestselling author of the middle-grade adventure series TombQuest and other books for kids and teens. His first young adult novel, Gentlemen, earned him a Publishers Weekly Flying Start citation, and his second, Trapped, was an Indie Next List selection. His first middle-grade novel, Plunked, was named one of the best children's books of the year by the New York Public Library and was selected for NPR's Backseat Book Club. He is originally from Salisbury, Connecticut, a small town in the foothills of the Berkshire mountains, where he mastered the arts of BB gun shooting, tree climbing, and field goal kicking with only moderate injuries. After graduating from NYU, he worked at Sports Illustrated Kids magazine for 12 years, the last five of those as baseball editor.